Experience contemporary French cuisine in the upscale Roppongi Hills shopping center. 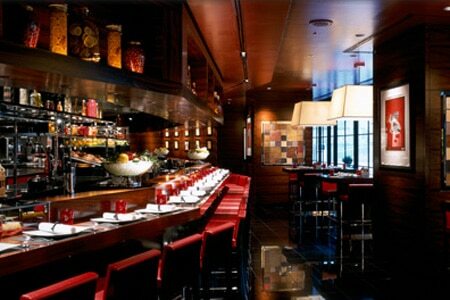 L'Atelier de Joël Robuchon has locations throughout the world, from Las Vegas, London, Tokyo and Hong Kong to Taipei. Like its counterparts, this branch in the upscale Roppongi Hills shopping center is styled in black and red and features an open kitchen with seating at a counter. Experience the contemporary French cuisine via the degustation, prix-fixe or à la carte menus.